Have you ever tried a beer that is brewed from pure moor water and eight different malts, exclusively during a full moon? Or schnapps distilled from exactly this beer, which as a high-proof speciality highlights the special flavour even more and is also guaranteed to arouse enthusiasm on your palate? No? Then come with me on a leisurely bike trip to Anthering. Located not far from the city of Salzburg, first-class restaurants, hiking and walking trails through the pristine floodplain meadow as well as treasures from the moor ¬– which absolutely must be tasted – await us here. Well then, get on your bike and off we go! Certainly there is truly much to see in Salzburg. And what can one experience more beautiful than simply to drift through the alleys, repeatedly discover new things and to plunge deep into the hustle and bustle of the city of Mozart. But the villages in the immediate vicinity of the city have at least just as much to offer. Easy to reach and in the midst of nature, they provide a wonderful alternative programme and also play their part so that any visit here becomes a unique and unforgettable break from everyday life. Such is the case with attractive Anthering, which is only 7 kilometres away from the city centre. Regardless of whether you spend your holiday in one of the hotels or guesthouses, arrival by the local railway or leap onto a bike like me and follow the Salzach River a stretch northwards: you’ll be surprised at everything to be discovered here. There is a “swing trail” for the whole family that is studded with exciting “stations for swinging”, the pristine and protected floodplain meadow in Anthering, which features wild boars, a quiet and cosy open-air swimming pool, and an herb garden with over 350 signposted medicinal herbs as well as restaurants, which all leave hardly anything to be desired. Yet what I find particularly exciting are the moor treasures from Anthering. They feature innovate moor products of the very highest quality, which are produced from the high-quality curative mud that is dug by hand from the Salzburg-Leopoldskron peat bog, and whose suitability for use in balneotherapy is undisputed. You can even eat or drink some of these treasures. And I would like to savour precisely these treasures today. 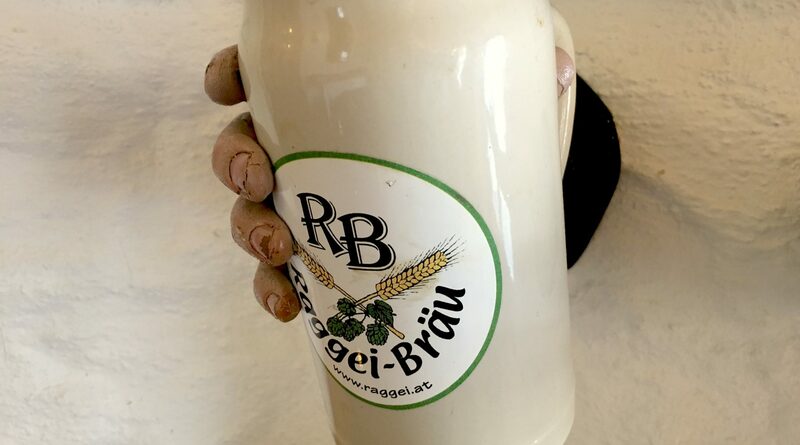 My first stop leads me to a small private brewery – the Raggei-Bräu – where beer is brewed from moor water. There, so I hope, I will also satisfy my already burgeoning hunger. After I leave the centre of Anthering behind me and arrive in Acharting, I also already see the signs which guide me to the brewery and adjacent farmstead. It lies there picturesquely in the middle of large fields and on the slope of a small hill. Here, one instantly feels at ease. Not the slightest doubt remains when entering the premises: everything here involves high-quality, locally brewed beer. The menu and list of beverages also contribute their part so that I sit at a cosy table full of anticipation and first of all take in the colourful activities here in the restaurant. Locals as well as guests relish the wonderful dishes to their heart’s content, test their way through the many different types of beer and seem to be involved in animated discussions. My choice falls on a really excellent Viennese schnitzel and a “Vollmond Moorbier” (“Full Moon Moor Beer”) from the brewer’s own production. And it tastes delicious. Fortunately, the drink is brought to me personally by brewer Johann Stadler, who then also immediately begins to talk. It all began here at the farm in 1999. The first brewery, whose beer proved to be very popular in the first year, emerged out of love for beer. “You really have to be a bit crazy to get something like this off the ground from scratch. 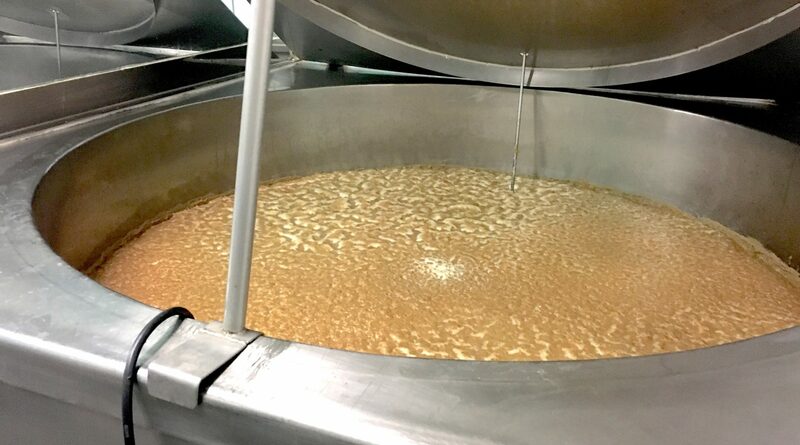 Because here in the brewery building, there was a cheese dairy in former times, and then for many years there was nothing.” He calls his realm a “world of beer diversity”, and a glance at the extensive beer menu confirms this. “The types of beer made at ‘Raggei-Bräu’ are top-fermented, yeast-clouded wheat and spelt beers, bottom-fermented cellar beer, seasonal special beers, bock beers as well as innovative creative beers which are made according to a distinctive recipe by means of open fermentation method.” Wow, someone knows what he is talking about here. One of these beers is precisely that moor beer that has peaked my particular interest. It is brewed from eight different malts, exclusively during a full moon. In combination with crystal-clear moor water, it results in a full-bodied beer with a pleasant note of hops and a slightly sweet taste. Delightful! “Incidentally, schnapps is also distilled from the beer, over there in the distillery known as AD Edelbrennerei.” Say again? You can make schnapps from beer? I must try that! Then Johann Stadler also takes me along on a short tour through his sanctum, the brewery itself, and after a brief phone call I set off again on the way back to Anthering. Because after all, schnapps that I would absolutely like to savour today is waiting for me there. 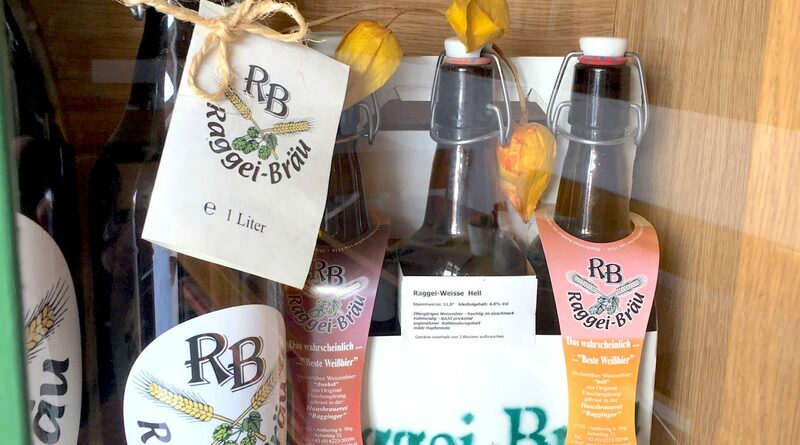 © SalzburgerLand Tourimsus, Peter Zeitlhofer – Some of the many beer specialities in the Raggei-Brewery. And you can taste it. The fruit comes from the own fruit garden or is additionally purchased from longstanding partners. “However, everything would be in vain without the good water from Anthering. Water is the basis, and on my many trips I always think how good we have it in this regard,” says Alois while adding to his son’s comments. True words! I would really like to know “what the moor beer schnapps is all about”. 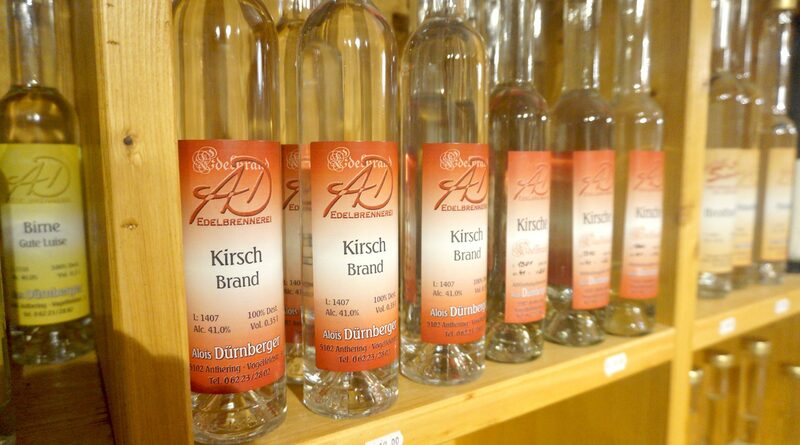 This schnapps is distilled from the beer itself and develops a very special, unmistakable and particularly fine taste. 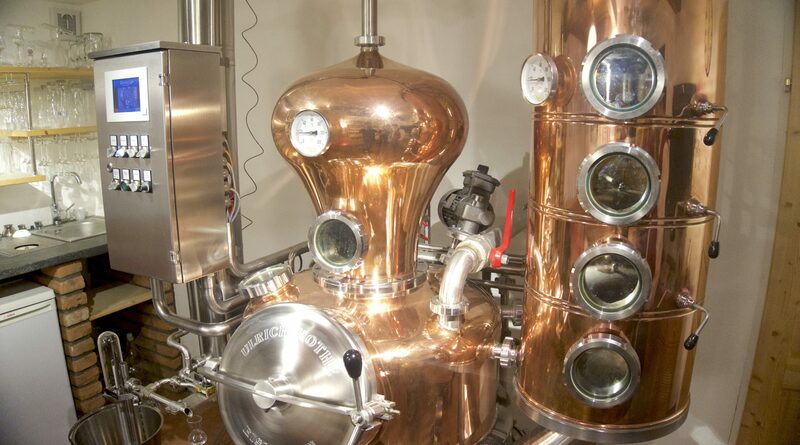 Distilling schnapps from beer was initially also an experiment for the two men, yet in the meantime they and also the many customers are very satisfied with the result. After I have two more bottles of the fine spirits from the AD Edelbrennerei packed for consumption at home, I thank father and son, and leap onto my bike again. 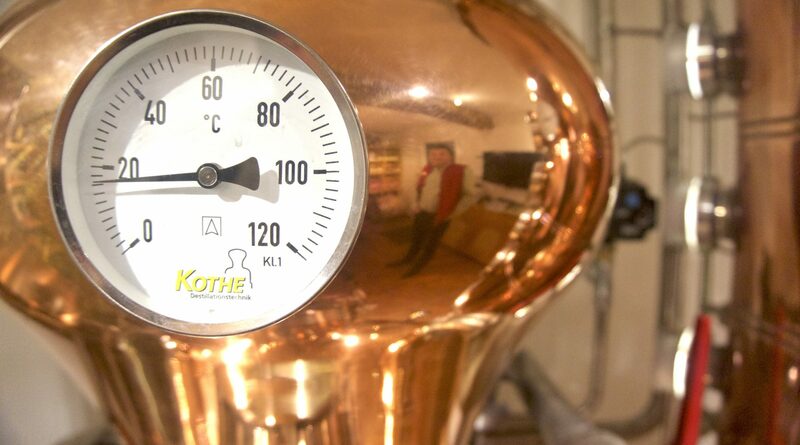 Anyone who would also like to visit the distillery – perhaps even enjoy a schnapps tasting session with friends or family while sitting at a cosy table next to the copper still – definitely has to register by telephone in advance for this purpose. For me it was certainly not the last visit here in Anthering, and I’m already looking forward to discovering even more moor treasures the next time. Yes, there’s more than enough of these treasures, and that’s a good thing! The products are divided into the categories “enjoyment”, “wellness” and “experience”, and can be ordered via the website to a great extent. In addition to the moor beer and the moor beer schnapps, the moor bread from the bakery Bäckerei Schmidhuber, moor dishes at Hotel-Restaurant Ammerhauser and many other delicious and at the same time healthy specialities fall under the enjoyment category. You can not only enjoy wellness with the “moor treasures overnight stay package” offered at Hotel Ammerhauser, but also on the mattresses and toppers offered by the upholstery workshop Polstermöbelwerkstatt Hannes Schiefer. ‘Moor for drinking’ and moor creams (as well as many other moor treasures) are available from the company SonnenMoor in Anthering. You can not only experience the moor and the resulting products during guided tours of establishments featuring the moor treasures, but also in the course of unique “moor experience days” for groups.